Here is a close up to see the dimension in this card. I inked up the papers and also the small corrugated cardboard piece that I added to the card for texture. The butterflies are cut from my Cricut Imagine and the Paper Trimmings cartridge and the yellow image and connected circle borders are cut from the Elegant Edges cartridge. I also added some stitching with my sewing machine and finished it off with some hemp twine and a button. So, do you want to join in on the fun with this great sketch challenge?? Hop on over to the My Creative Time blog to check it out and link up your take on the sketch. Also hop on over to see Emma's card (and a small sneak of her next release) and also what other members of the design team have done with this great sketch. Did any of you get a chance to scrap the day away on National Scrapbook Day?? I did not have the chance because we had a very important event happening in our home. My sweet little girl was baptized that day. Congrats Lisi girl!! We love you and are so pleased that you have chosen to take part in this important milestone in your life. 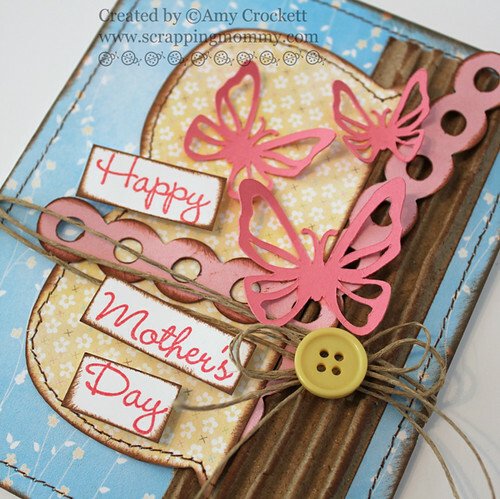 Your card looks wonderful...I love the butterflies and machine stitching on the beautiful papers! Oh I love love love your card!!! Beautiful card! 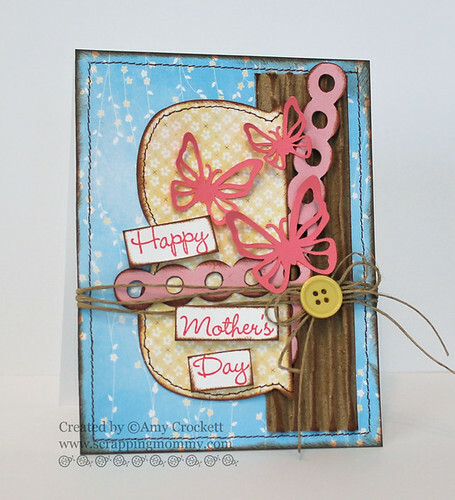 Great paper choice and love the butterflies! Amy ~ this is just stunning! So pretty with all the extra special details!